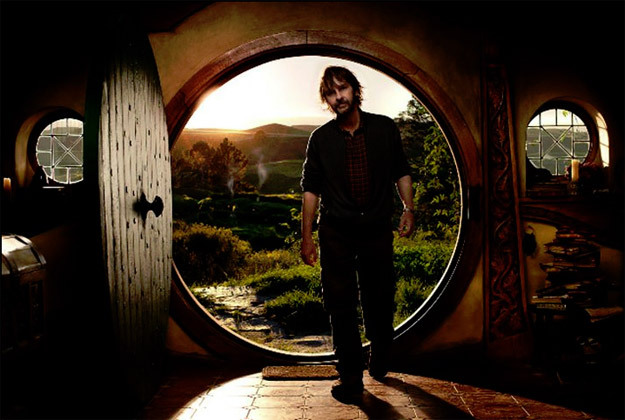 New Line/Warner Bros. announced today that production has begun in New Zealand on The Hobbit, Peter Jackson's two-film epic adaptation of J.R.R. Tolkien's timeless classic. 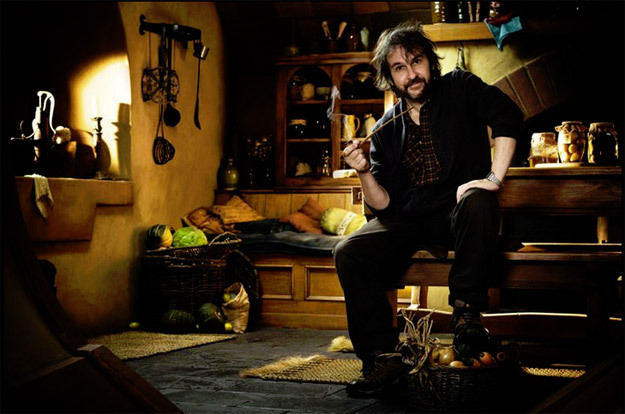 Production has commenced in Wellington, New Zealand, on "The Hobbit," filmmaker Peter Jackson's two film adaptation of J.R.R. Tolkien's widely read masterpiece. "The Hobbit" is set in Middle-earth 60 years before Tolkien's "The Lord of the Rings," which Jackson and his filmmaking team brought to the big screen in the blockbuster trilogy that culminated with the Oscar-winning "The Lord of the Rings: The Return of the King." Martin Freeman takes the title role as Bilbo Baggins and Ian McKellen returns in the role of Gandalf the Grey. The Dwarves are played by Richard Armitage (Thorin Oakenshield), Ken Stott (Balin), Graham McTavish (Dwalin), William Kircher (Bifur) James Nesbitt (Bofur), Stephen Hunter (Bombur), Rob Kazinsky (Fili), Aidan Turner (Kili), Peter Hambleton (Gloin), John Callen (Oin), Jed Brophy (Nori), Mark Hadlow (Dori) and Adam Brown (Ori). Reprising their roles from "The Lord of the Rings" trilogy are Cate Blanchett as Galadriel, Andy Serkis as Gollum and Elijah Wood as Frodo. Jeffrey Thomas and Mike Mizrahi also join the cast as Dwarf Kings Thror and Thrain, respectively. Further casting announcements are expected. "The Hobbit" is produced by Peter Jackson and Fran Walsh, alongside Carolynne Cunningham. Executive producers are Ken Kamins and Zane Weiner, with Philippa Boyens as co-producer. The Oscar-winning, critically acclaimed "The Lord of the Rings" trilogy, also from the production team of Jackson and Walsh, grossed nearly $3 billion worldwide at the box office. In 2003, "The Return of the King" swept the Academy Awards, winning all of the 11 categories in which it was nominated, including Best Picture – the first ever Best Picture win for a fantasy film. The trilogy's production was also unprecedented at the time. Among the creative behind-the-scenes team returning to Jackson's crew are director of photography Andrew Lesnie, production designer Dan Hennah, conceptual designers Alan Lee and John Howe, composer Howard Shore and make-up and hair designer Peter King. Costumes are designed by Ann Maskrey and Richard Taylor. "The Hobbit" films are co-produced by New Line Cinema and MGM, with New Line managing production. Warner Bros Pictures is handling worldwide theatrical distribution, with select international territories as well as all international television licensing being handled by MGM. The two films are planned for release in late 2012 and 2013, respectively.